They're all out of stock already. Thanks for the links though Jayson! I just walked into the SW aisle this morning and an employee just said - let me go check the back, I know there's more cases in the back. Without me even asking she brought me out 3 cases of w13. That was cool of her. Hooked up a few more locals with the troopers. 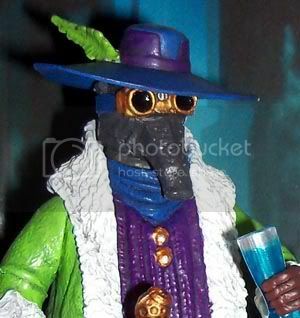 MOST WANTED WAVE 13 FIG? so,who seems to be the most valued or sought after fig from wave 13?from the feedback i have been reading i am surprised to see the spacetrooper getting alot of mention,but i still think the dark trooper phase 1 is the best looking/constructed/articulated fig out of this wave,and it is a beast ta boot,whats everyone else's thoughts? Re: MOST WANTED WAVE 13 FIG? 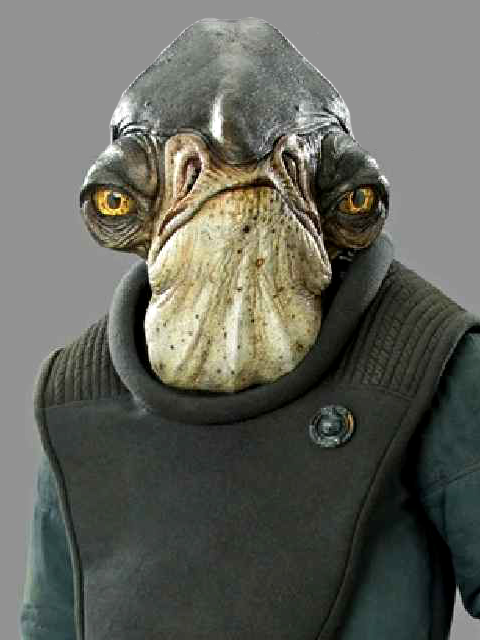 Speaking for myself I'm most interested in the 2nd Bespin Security Guard, with K'Kruhk and Spacetrooper coming in 2nd. Not interested in any others. Just the Bespin Guard and K'Kruhk for me. You kidding? The Bespin Security guard is the only one of this wave I've seen. It's the peg warmer of the wave around here. That's if you can sell people on the idea that a figure who's release date was 7 days ago is capable of warming a peg already. If you told me Yarna and Sae Sae Tiin were warming pegs in your area, that I'd buy. Considering the rest of the wave is long gone. I'd say he is warming the pegs. We still see lots of Yarne and Sae Sae Tiin. i was just wondering,i thought i started a new topic on the most wanted wave 13(eu) fig?was it merged into this thread? Yep, eight posts up from this one. Agreed, Bespin Security dude is the leftover I see most consistently. Shaak ti and the Space Troopers seem to fly off the fastest. Up until this past week it's been rare to even see Utris M'toc at retail. The most common indicator of the EU wave that I've seen in the stores have been the repacks: Luke, Obi-Wan, Darth Maul, R2 and Chewbacca. Slapping the pegwarmer label on Utris M'toc at this point seems a bit premature. Found these this weekend, my TRU had the endcap and what must've been 5 or 6 cases worth between it and the aisle. I was pretty happy to find them at 5 bucks a pop, too. Pretty dissappointed in the already yellowing Spacetroopers, though. Now I'm hoping he gets a rerelease down the line so we get better plastic. Happy as a clam to actually own Jaina and Jacen figures, those are two from my EU wish list I never thoought I'd see, and after the scary talk a week ago, I was ready to dash my hopes for a second time rather than jump through hoops or pay exorbitant prices for them. I wish the repack figures had worked out better for me as far as putting together a complete BG droid...I might have picked up an R2 or Chewie or Obi Wan if they were worth the while. (As it stands, I need arms!) A funny thing that occurred to me is if this is the only case ratio we ever see of this wave (as I believe it is) then Hasbro actually had to make twice as many of the BG droid as any of the figures they decided were worth selling to us. Kind of amusing. All in all, I'm pleased with how this wave ended up. I am done with Legacy now, and good riddance! I give the collection as a whole a D+. Do better with the Vintage line, please!